My husband and I are travelers that fly without checking luggage. We each have a backpack and one carryon that fits the airlines size regulations. We have, literally, traveled all over the world that way. Now, American Airlines is making travelers like us "pay" for the privilege of carrying on our luggage by giving priority boarding to passengers who have no roll-a-boards. They will be able to board after AA's Group 1 and before passengers in Groups 2, 3 and 4. I wonder how this will really affect us. We have an AA affinity credit card and one of the perks is priority boarding. Will we still be in Group 1 when the dust clears? And how long will it take before the other airlines follow suit? Our custom trip worked out perfectly. We were met at the airport as arranged and given our vouchers for the trip. All hotels expected us and each one met my requirement of first floor room, air conditioning, and close to town. All transfers were either private or shared in a mini-van and we were always picked up on time. Overall, we had a great time. 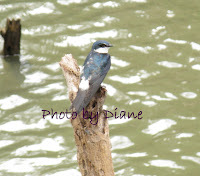 While we didn't see the quantity of wildlife I had hoped, we certainly saw quality. In Tortuguero, Jerry got pretty up close and personal with howler monkeys. We both got close to a sloth and watched it come down from its tree ... not something you see very often. We saw quetzels. We saw scarlet macaws. We got to see all four species of monkeys in Costa Rica. Jerry got lots of hummingbird pictures. Before we left, I promised Jerry that he would be taking bird pictures right from our hotel grounds. Looking, for instance, at pictures of the toucan he photographed from poolside in Manuel Antonio, he said I kept my promise. 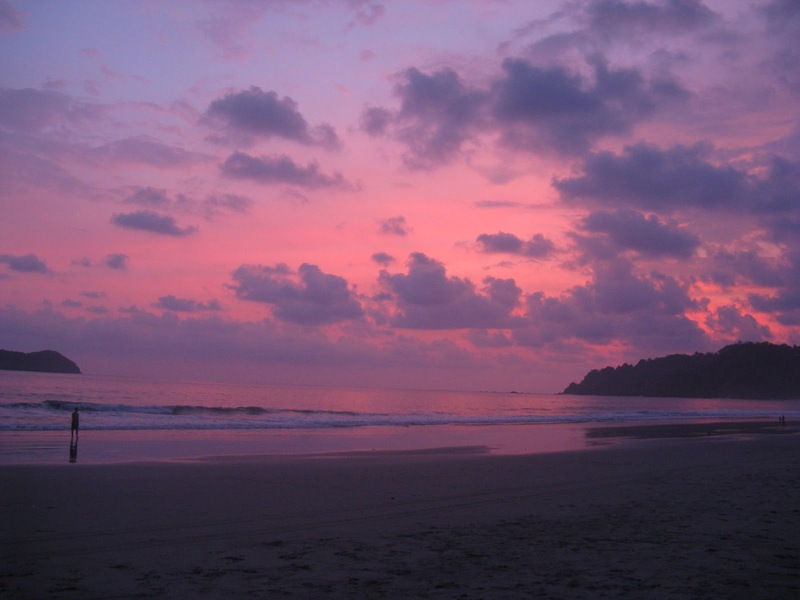 Our final stop on our Costa Rica trip was the Manuel Antonio/Quepos area, along the southern Pacific coast. We had four nights here and this was to be our R & R at the end of our trip ... my beach time. 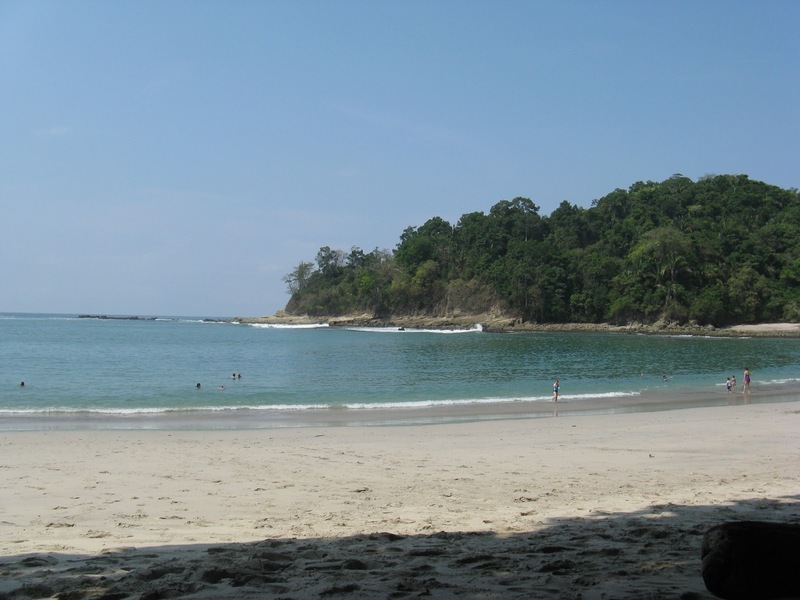 I had visited Manuel Antonio National Park previously and had good memories of it and hoped to spend our last days relaxing at the beach and enjoying the wildlife the park had to offer. We made the right choice by going without a guide. 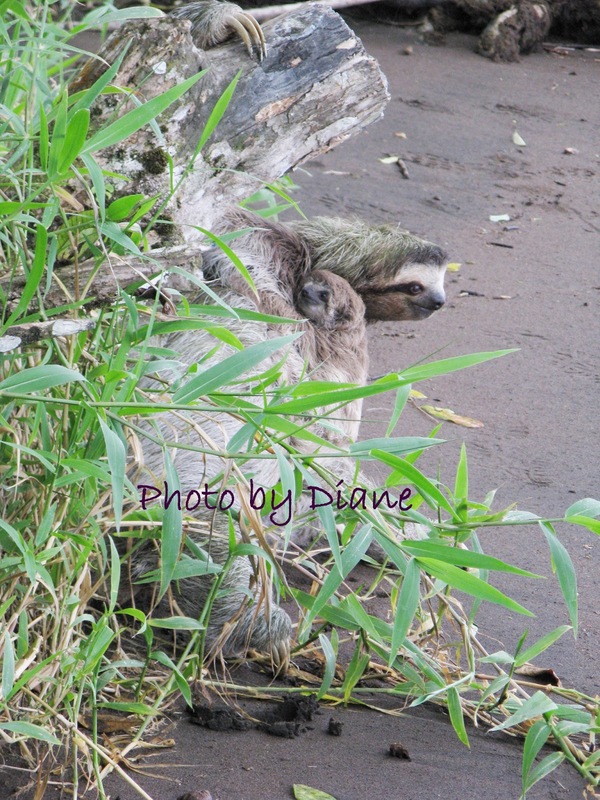 If we had taken a guide we would have heard the same stories about sloths and howler monkeys. 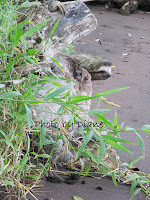 While the guides were able to spot some sloths, they were way up in the trees and hard to see. We didn't hear or see any of the guides pointing out birds except for one hummingbird that was back in the brush. Monkeys were easy to find since they appear to have as much interest in us as we have in them. 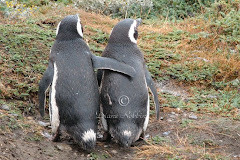 But generally we were very disappointed by the lack of wildlife. The main path just past the entrance is a gravel road. Several times we had to make way for vehicles. Unless you go early, the park is crowded. As we left around noon we saw families coming in with beach and picnic items. The park now has changing rooms in the park and drinkable water. Because the main entrance and exit were moved, the shops, restaurants and street vendors selling everything from typical tourist items to full plates of grilled chicken with vegetables (dinner) and cut pineapple (desert) were gone ... because the traffic was gone. This had been a real neat area and I missed the experience. Even more, I missed the grilled chicken meal I was planning on. 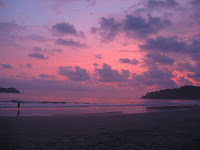 The one thing that didn't disappoint was the beach in the park or the sunset from the public beach. We spend two mornings in the park ... after our first negative wildlife experience we figured it had to be better the next day. It wasn't. After about two hours sitting on the beach, we returned to our hotel for lunch and spent a good part of the afternoon poolside, where we saw more birds in an hour than we did the entire time in the park. Our third day we took the bus into Quepos and wandered around. It was Saturday and a fruit and vegetable market was set up near the water. After spending some time there, we returned to our hotel and then went to the public beach where we rented an umbrella and two lounge chairs for $10. Unlike the calm waters in the park, the waters here had big waves and I spent some time "jumping" waves and body surfing. Can't remember the last time I did that. 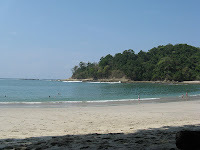 I had fun but sure missed the old Manuel Antonio National Park. I have never flown Spirit Airline. Its fares are suppose to be very cheap. As in VERY! They make up for these low fares by adding on a whole bunch of fees such as fees to check your luggage AND fees to carry on your luggage. Now they have done away with their toll free number and "to better assist you" have a phone number where the caller pays. This is suppose to be better for the customer???? Frontier now charges for soft drinks, coffee and water. Frontier also charges a $100 fee for your carry on if you do not buy your ticket on Frontier's web site. But wait! Maybe that ticket is more than $100 cheaper on Orbitz or Travelocity or another online travel site. So maybe it makes sense to buy from a site other than Frontier's and pay the fee. (Yes, I'm confused too). All of the major U.S. airlines have raised change fees from $150 to $200 per ticket on non-refundable fares, the most common fare purchased by travelers. And Southwest is changing its "missed flight" policy. Used to be you could just be a no-show and use the value of your ticket for another flight. Now, if you won't be able to make a flight, be sure to call and cancel. Otherwise you'll find yourself paying a fee. Unfortunately, airlines don't advertise their fees because ... let's face it ... fees don't make great PR. USAirways, for instance, changed its pet policy. Pets are no longer able to fly as cargo and there is an in-cabin fee of $125. Flying with a heavy suitcase on United? If you are flying with a 70 lb bag to and from Mexico or the Caribbean, you'll find yourself paying an extra $800! (This is definitely the case where it is cheaper to buy a second bag and check two 35 lb bags instead). If you fly Ryanair and arrive at the gate without a boarding pass, the gate agent will print one for you and charge you $108 for the service. Air India raised its overweight charges while lowering the weight for no-fee checked luggage. So that bag you used to fly with for free may now cost you $50. The moral of this story is check your airline's website before heading to the airport. Actually, check it before you buy your ticket and check it again before you pack your bags. You don't want to be caught off guard by a rule that changed since you last flew. 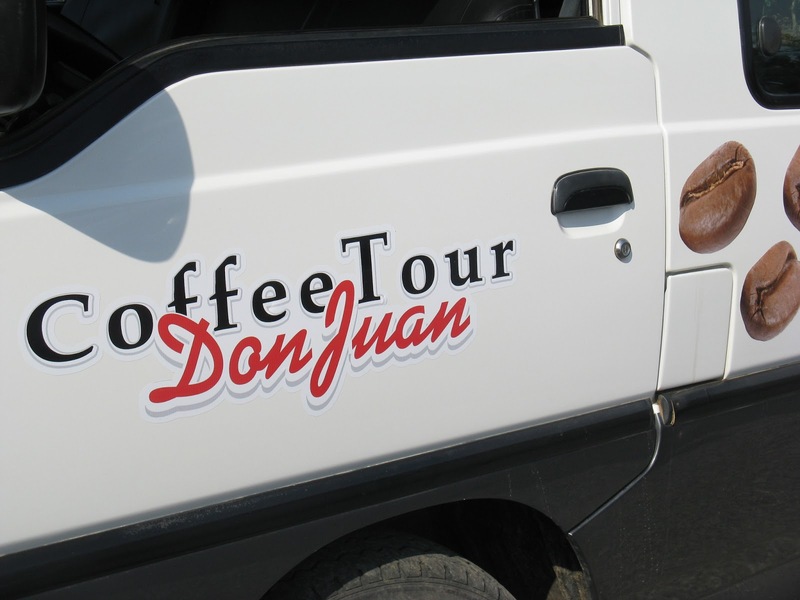 Our second day in Monteverde we decided to make a reservation for a coffee tour. The desk at the hotel took care of it for us and we had a 2:40 pickup for a 3:00 tour. 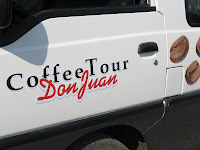 In spite of previous visits to Costa Rica and other coffee producing countries, this was our first coffee tour. 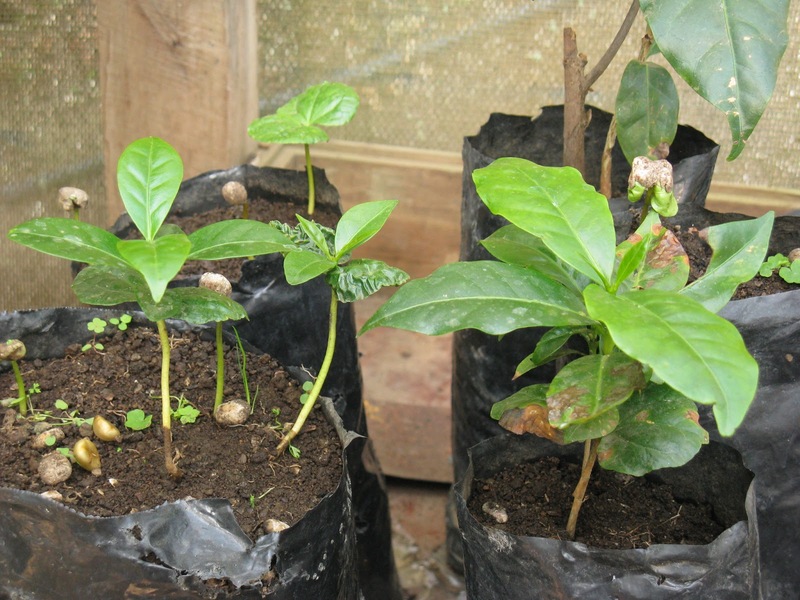 Price was $30 per person and including information on coffee, sugar cane and chocolate. We were picked up right on time and taken to the plantation area. 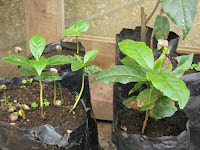 The tour started with a visit to the nursery where we learned about the raising of coffee plants. 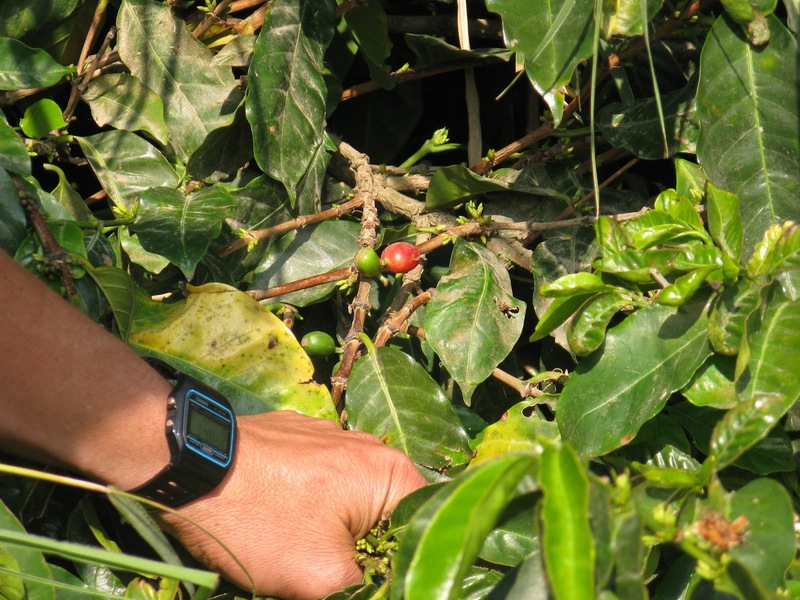 Did you know that coffee plants can grow many feet tall but, on plantations, are consistently pruned to a height of about 3 to 4 feet to make it easier for the berries to be picked? We saw some plants in bloom and some with ripe red berries. We were shown how they were then spread out to be sun-dried before being roasted. Did you know that dark roasted coffee has less caffeine than light roasted? Our tour included squeezing sugar cane juice out of the stalk and having a chance to taste it. Also ground up cocoa beans and added to hot water for a cocoa drink. 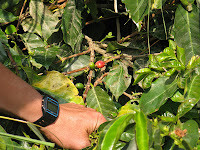 After the tour we had a chance to taste several varieties of coffee. It was a very interesting and enjoyable tour. 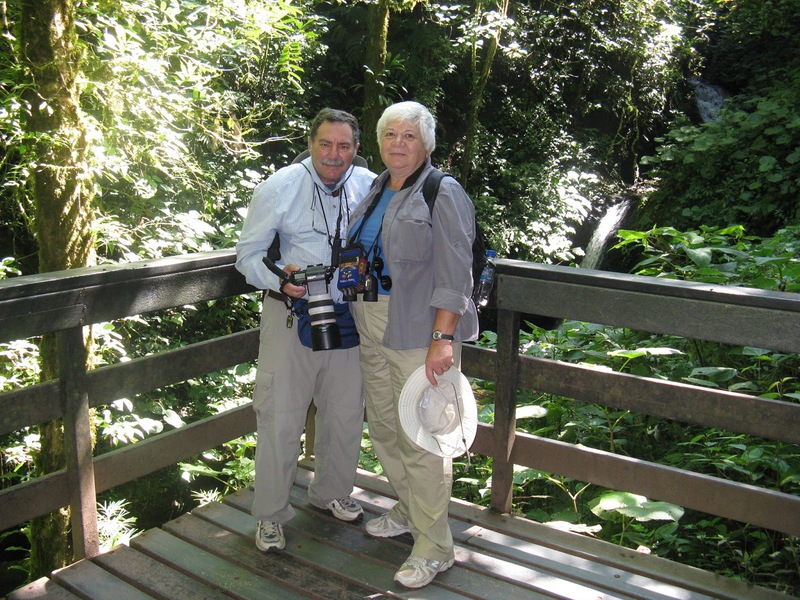 We had two full days in the Monteverde region and I had prearranged guided nature tours of the Monteverde Cloud Forest Reserve and the Curi Cancha Wildlife Reserve through G Adventures . As is typical of the quality of the guides used by G Adventures , our guide was wonderful. Marcela Morales (506 8391-3806, marcelaguide@yahoo.com) was friendly, knowledgeable and accommodating. Although we were supposed to have group tours, our tour of Monteverde ended up private and our Curi Cancha tour had only one other gentleman ... so almost private. The tours were wonderful. 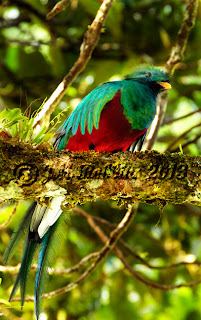 Marcela gave us a 90 percent certainty that she would be able to find a Resplendent Quetzal for us and she followed through on her promise. 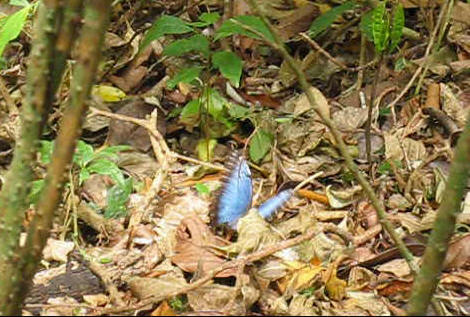 Many people travel to Monteverde to see this bird and not all are successful in finding it. 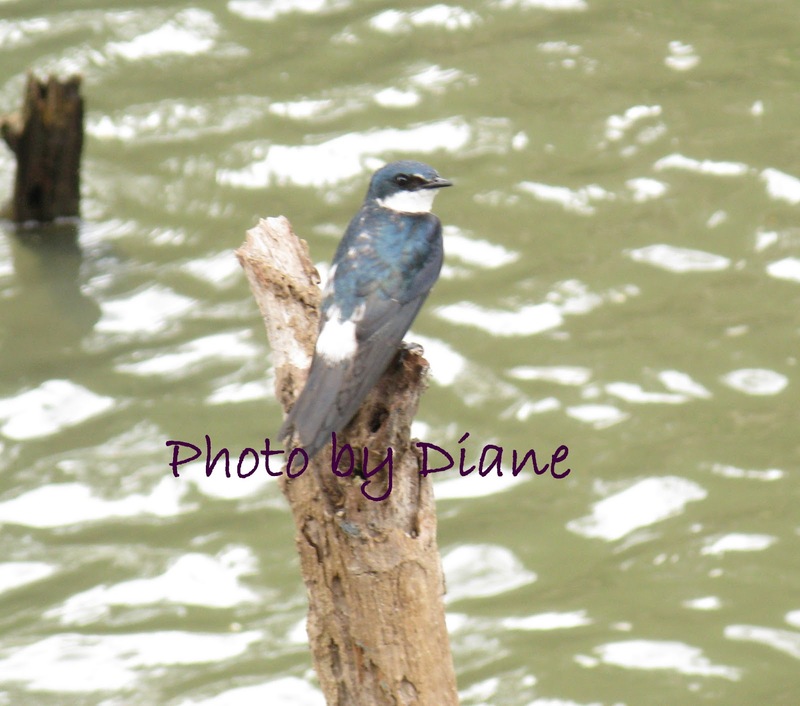 Not only did we see several pairs, we also were able to watch a pair work on a nest. 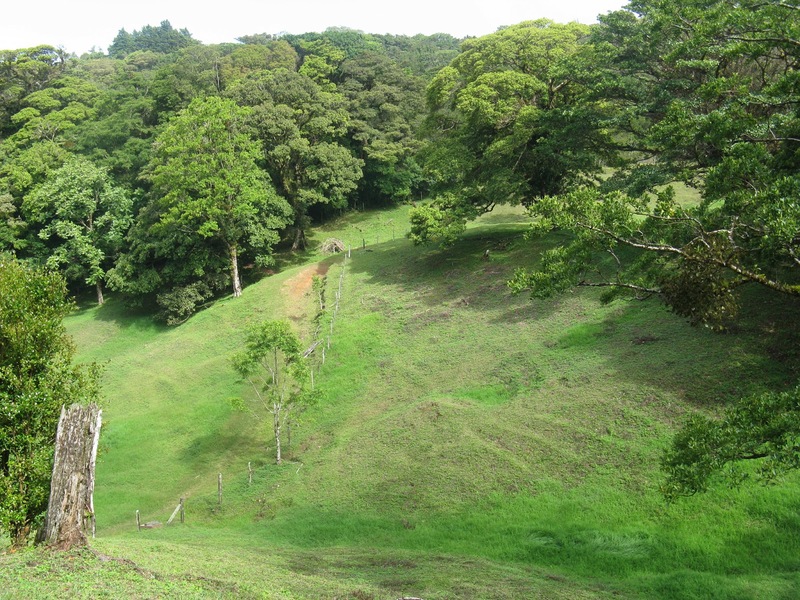 Monteverde and Curi Cancha are very different in spite of their close proximity. Monteverde is a true cloud forest with densely packed trees and foliage, lots of moss and bromeliads, and very dark and damp, with very little sunlight filtering down to the ground. Curi Cancha is a few hundred feet lower and is more open. Brilliant sunny spaces and trees spaced far apart ... which made it a lot easier for Jerry to get that Quetzel shot (above). I highly recommend both preserves because of their contrasts. And definitely go with a guide. The guides all carry large scopes and know how and where to look for the wildlife. For instance, the Quetzel pair making a nest will probably remain in that same spot for quite a while. Now knowing where it is, Marcela will be able to take her next tour directly to the location, providing them a great experience. If you go on your own, unless you are lucky and trip over a guide pointing something out, you probably won't spot it. More than once Marcela showed she was there for us. We used her scope, she answered all of our questions and she waited patiently until Jerry finally decided he had enough pictures ... even to the extent of pointing out other vantage points for what might be a better shot. Quite interesting was the moment when a hiker on his own asked Marcela a question. Jerry and I both noticed that Marcela totally ignored him. Many travelers have multiple flight options for getting from here to there. Not only are there departure and arrival time options, but total length of trip, price and choice of airline. So all things being equal, how do you decide which airline to take? Loyalty programs might make a difference to you. But if they don't check the airline reviews on Skytrax. Not only will you find reviews of airlines worldwide, but you'll also find information on airports and airline seat guides. For more airline information, another great site is Seat Guru where it is quick and easy to check out the best to the worst seat on the plane. I am having trouble uploading pictures to my blog. Based on the Google Blogger forum, I'm not the only one. I am hoping this will be resolved soon and I can continue with our trip. In the meantime, I am updating my other travel blog, Travel Ideas. Travel Tips. Travel Warnings. , with lots of great new hints and ideas.You can subscribe by entering your email address in the box below Follow By Email on the Travel Ideas. Travel Tips. Travel Warnings. blog site.